Health & Wellness providers in the Pendleton, Indiana area. MyTime Fitness is South Madison County's only full service fitness facility. We offer a full lineup of fitness equipment -over 20 pieces of cardio machines, a great offering of circuit machines, and strength equipment. Childcare and smoothie bar. 2. Jennifer A. Neise, DDS, P.C. 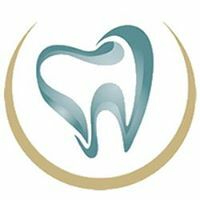 We strive to serve our patients with the most comfortable and complete dental health care possible. We provide general, cosmetic and sedation dentistry services for the entire family. We offer one visit crowns, Botox, dermal fillers, dental implants. Falls Park serves as a cornerstone of the community, offering park patrons and guests 284 acres of nature beautify including two ponds, creeks and the "falls" on Fall Creek.